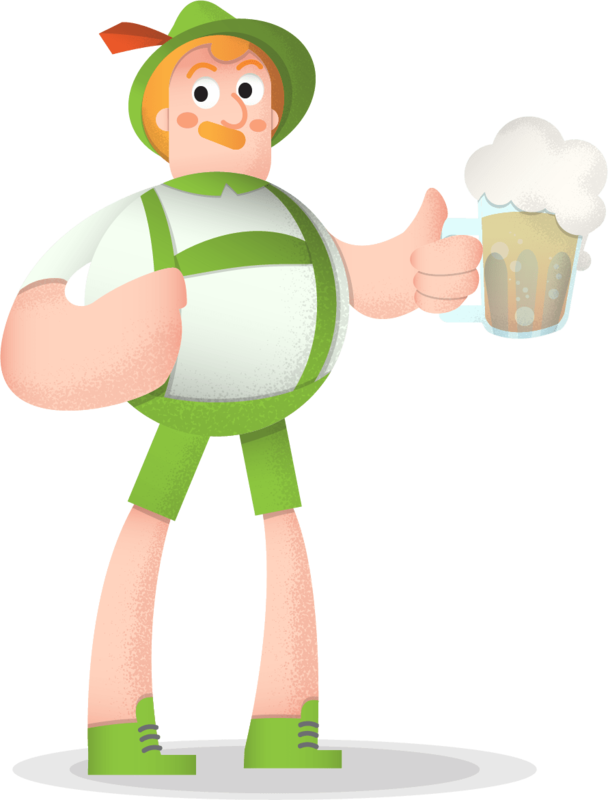 Free Oktoberfest Man Vector Character Holding a Mug of Beer vector illustration. This awesome male character is holding a beer and doesn’t have the patience to drink it! Perfect for any German or beer related design. He is cute and made in fresh modern flat style, so it will be compatible with every project. Download this German character with a beer for free by clicking the download button below.